Hardhitting former IBF World flyweight champion Johnriel Casimero is set to face the fellow Filipino Jonas Sultan in Pinoy Pride 42 on September 16, 2017. Johnriel Casimero is a legit world champion and he is a former light Flyweight and flyweight world champion. 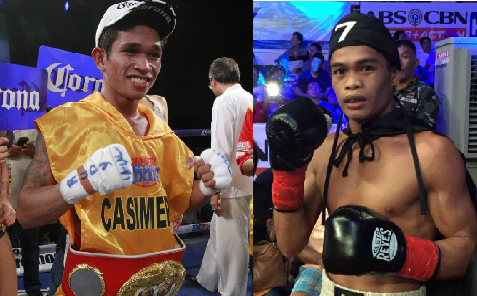 Casimero will now moved to super flyweight division and will now fight Johnriel Casimero for the title eliminator. Casimero handled a record of 24W(15KO)-3L. On the other hand, Jonas Sultan is a 25 years old IBF Inter-Continental super flyweight champion. He has a record consisting of 13W(9KO)-3L. Sultan defeated some of the great fighter in the super flyweight division including Tatsuya Ikemizu, Makazole Tete and the former WBC World flyweight champion Sonny Boy Jaro. Sultan is currently rated at no. 15 in the world while Johnriel is rated no. 7. This fight could be one of the most exciting Filipino vs Filipino fight that will happen. Sultan vs Casimero will be held at Waterfront Hotel and Casino, Cebu City, Cebu in the undercard of Milan Melindo vs Hekkie Budler unification bout.